It portrays a delightful two-in-one look on the outside (which we’ll get to in a mere moment), but on the inside it also provides a double service. Because although it is quite modern and super fancy (we’re talking wooden floors, crisp neutral colours, sharp lines), it is also very charming and inviting – it has to be, seeing as it is the home of a young and growing family. 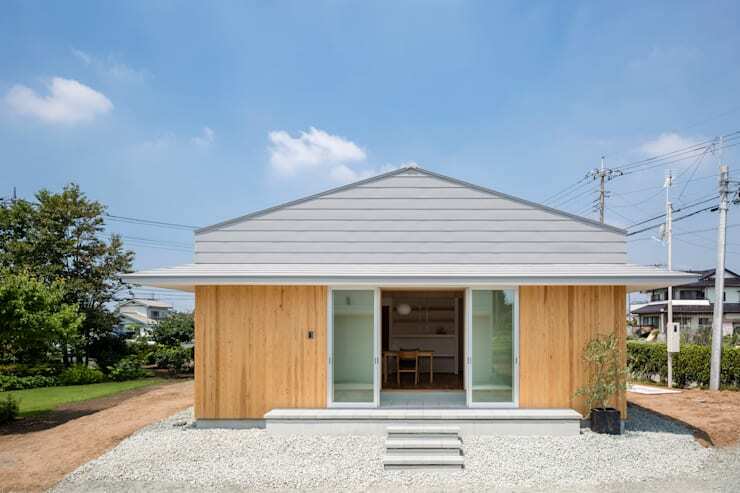 What a refreshing façade this little house flaunts! 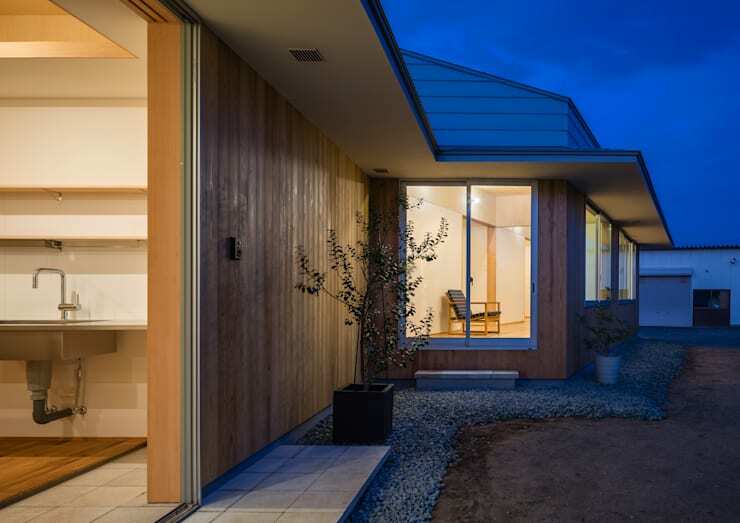 The natural wood cladding and galvanized roof gives us a double deal when it comes to visual friendliness – it gives us the best of both worlds and just looks so inviting, don’t you think? 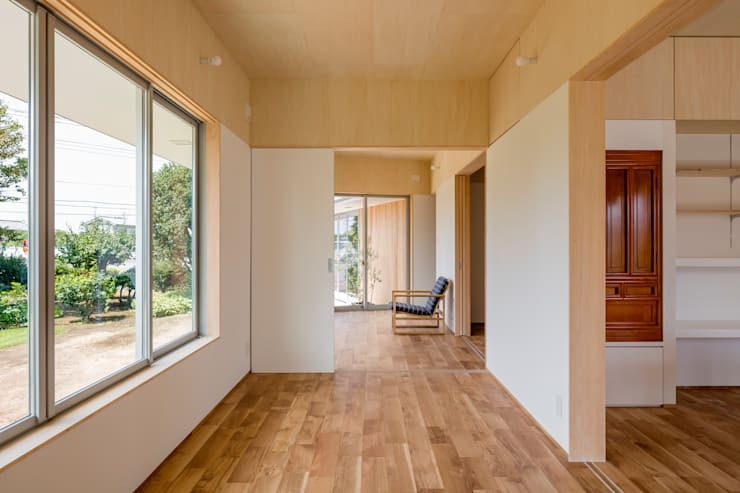 It is pretty clear that this house has more windows than your average structure, allowing for much more light to enter and become part of the interiors. Lots of running space for the little ones, then? As for the colour scheme, the natural combination of white and wood helps to keep the interior as chic, simple and charming as the exterior. We all know the appeal of open-plan layouts, so it’s no wonder that they’re one of the hottest trends right now. Thus, we are not surprised at all to discover this kitchen and dining area sharing the same space. 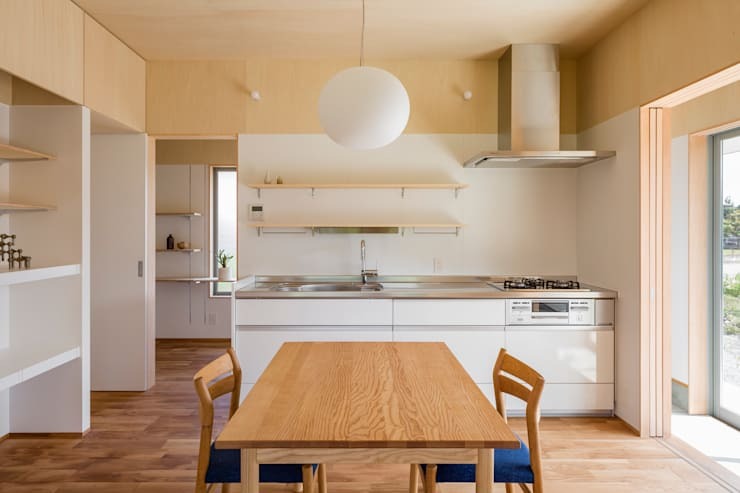 With no island or countertop separating the rooms at all, there is such an inclusive and minimalist feel that must surely help to make parenting a little bit easier. We just love how those dramatic-blue chair cushions add such a loving contrast to the overall neutral colour palette! 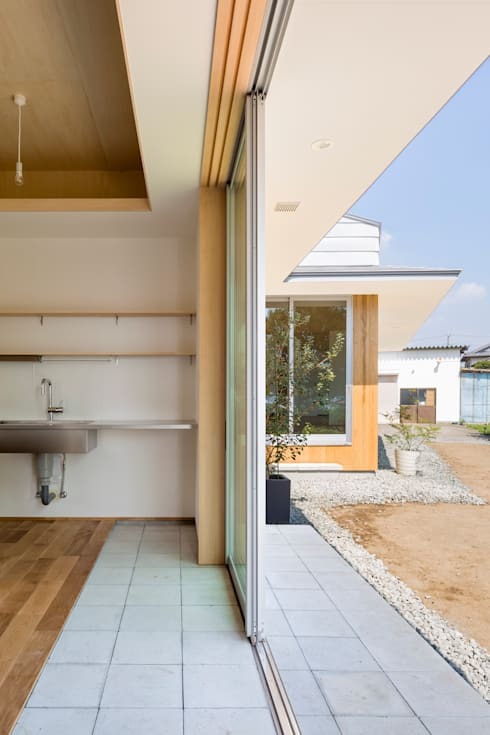 This image is exquisite, as it shows us how much the inside- and outside spaces are intertwined, thanks to clever flooring choices and generous sliding doors. How many other homes can boast about having such a delightful view around seemingly every corner? So pleasant! Speaking of family homes, did you hear about: The family who changed their life by adding a small extension to their home? Check it out!